Not for me, but I&apos;m sure fans of Diablo or amiibo in general may like it. Having seen where the original design came from for the Diablo amiibo, I have to say that&apos;s the height of laziness. There were rumours before yesterdays announcement that there was going to be 2 Diablo amiibo, the first was the Goblin amiibo and the other was Demon amiibo, what&apos;s the bets that this is the design below? 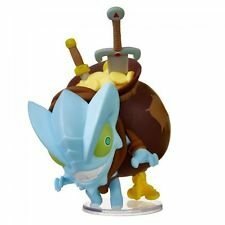 Given how lazy the Goblin amiibo is, it wouldn&apos;t surprise me. I put in as much effort as Blizzard did and changed its original colour from red to green. 😜 It&apos;s from the Cute but Deadly range like the Goblin amiibo is.